You heard that right. Given the B1G’s abysmal showing during bowl season (3-7) and the other two bowl game winners (Wisconsin and Minnesota) each losing their previous game (Minny to Wisco and Wisco to PSU in the B1G Championship) the ‘Cats hold the outright win streak lead with a whopping 2 wins. Let’s see if we can hold on to that for a few more weeks, eh? Does this mean NU is projected to win 10 games? Absolutely not. But still, pretty exciting to be favored in the majority of our contests. Also take this with a grain of salt, as this is certainly bound to change as the season goes on. By my math, this predicts NU to win 8.35 games… not bad. Despite Penn State’s preseason ranking (6), the Nittany Lions ought to be a little weary of their trip to Evanston this season. Why? Because James Franklin has never beaten Pat Fitzgerald (in 4 attempts). He’s lost both contests as PSU’s head coach as well as two while at the helm at Vanderbilt. Vandy also dropped NU from the schedule in 2013-2014 due to “scheduling conflicts,” however, some speculated James was simply afraid of the ‘Cats. 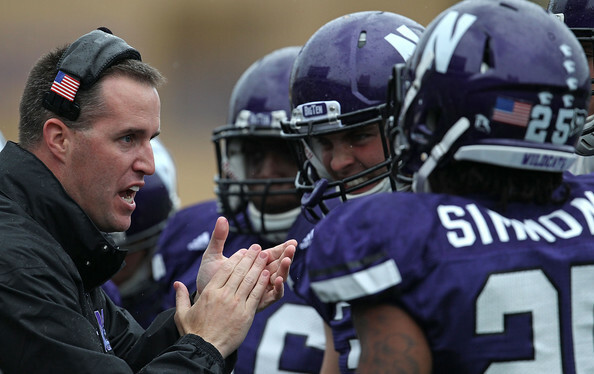 Pat Fitzgerald is entering his 10th season as Northwestern’s Head Football Coach. During the first 9 years of his tenure there have been many ups, and certainly many downs as well. Despite current sentiment of the Warriors’ (which ranges somewhere between neutral to negative) of Fitz – we will focus on the positives from his career to date. Iowa sort of gave this one to us, but it was a solid road win against a solid team (which beat South Carolina in their bowl game and ended up #20 in the final AP Poll). Despite the fact that this was a bad Vanderbilt team (they went 2-10 that year), a season opener in SEC territory is never easy. It was Dan Persa’s first game as the starter which helped sneak this one on the list. In one of the wildest NU games I’ve ever seen, Northwestern rallied to come back from a 28-3 deficit (at which point the entire student section left save myself and Patrick Grayhack) to win 29-28. They held Indiana scoreless for the entire second half to pull off the win. Speaking of comebacks – NU rallied from a 35-14 deficit in the 2nd half to win 49-48 in double overtime. A stopped two point conversion sealed the win for the ‘Cats. A near must-win game for the ‘Cats as they fought for bowl eligibility, the ‘Cats came out victorious in their first trip to Lincoln. The game featured a great second half performance from Kain Colter in place of an injured Dan Persa. A win that might be higher had it not lead to the end of Dan Persa’s season (and effectively Northwestern’s season), NU won in dramatic fashion with a late minute TD grab by Demetrius Fields. In a game we had all but written off, Trevor Seimian and the ‘Cats beat the Fighting Irish in dramatic fashion, recovering a fumble and forcing overtime with a last second Jack Mitchell field goal. Were the rest of this season not a total disaster, this could have been even higher. This game had one of the craziest finishes in program history. Kafka gets his first start in 2 years replacing an injured CJ Bacher and runs all over Minnesota for a big win. In one of my favorite seasons in Northwestern history, the ‘Cats held their ground at home against a strong Wisconsin team to propel them to an Outback Bowl bid. Obviously getting the first bowl victory since the 1949 Rose Bowl was kind of a big deal. The ‘Cats beat a solid SEC team to finally get the monkey off their back. Ironically, the ‘Cats haven’t been back to a bowl since. 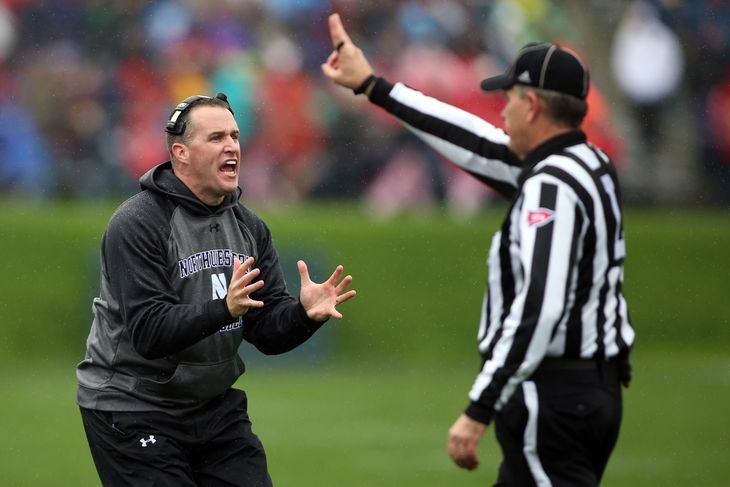 Look for another post tomorrow with Pat Fitzgerald’s Top 10 Worst Losses. Well I feel a little unoriginal since this same headline has probably been written about 27 times this week. But whatevs, it’s a way in. I’ve been analyzing the schedules for Minny, Iowa, Wisco, Braska and the ‘Cats – in my mind the contenders in the B1G West at this point. I’ve been looking at Probable Wins (PW) for each team – basically it’s games against the three clear worst teams in the Big Ten – Michigan, Illinois and Purdue. I tend to think Indiana is an ok team, so I didn’t include them in this category. With the strength (or lack thereof) of the conference this year though, nothing is a guarantee. Also looking at Games Against the Contenders (GAC) – that’s games against the other four contenders in the West. In my mind these games are toss-ups, but even more important in the division race since a win for one team means a loss for another contender. It’s nice to see everything laid out, but the only real conclusion to be drawn here is that things are still wide open. A lot can change with seven games remaining for most of these teams. The good news is that Northwestern has the most “probable wins” remaining, and in my mind the easiest schedule of the B1G West contenders. A win against Minny this weekend puts us in the driver seat, and would set up an enormous Homecoming match-up against Nebraska that could decide who goes to Indianapolis. A few weeks back – amidst the Ray Rice scandal and the chaos that engulfed the NFL – the NCAA quietly announced that Penn State’s sanctions had been lifted. No more bowl ban. No more scholarship reductions. Time had been served and reparations paid. There are plenty of conspiracy (perhaps legitimate) theories out there as to why the NCAA decided to lift Penn State’s sanctions when they did. Regardless of why it happened, all you need to know is that it happened. Penn State is free to continue with business as usual… and that’s alarming. When the sanctions were levied several years ago, there was a vocal minority who suggested that the NCAA was overstepping their boundaries and unfairly punishing current “student athletes” who had absolutely nothing to do with the situation. After all, if Penn State swiftly removed anyone who had any part of the heinous crimes and subsequent cover up, why should they be punished? Right? That line of logic is exactly what is wrong with college athletics today and it shows a complete inability to see the forest for the trees. From the NCAA’s perspective, the real issue at hand should have been bigger than Sandusky, Paterno, Spanier or any other person associated with the crimes. The issue is one of culture. 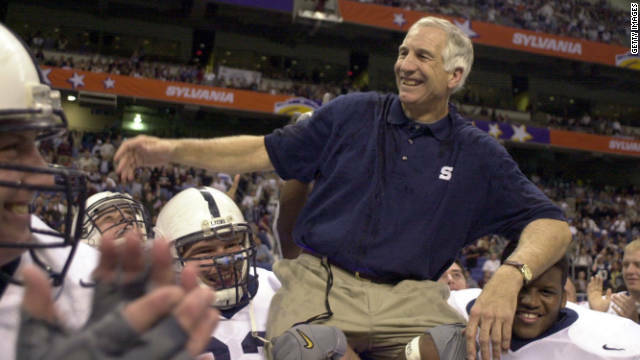 The football program at Penn State had become (and still is) bigger than the school itself. 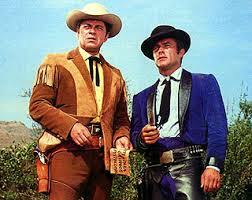 That culture still exists today regardless of whether the criminals who were a part of the past remain. Culture is bigger than any one individual and absolutely nothing has suggested that the culture at Penn State has changed one iota since the NCAA levied “strict” sanctions. This was blatantly apparent with the jubilant celebrations that ensued in State College several weeks ago when the announcement was made that Penn State’s football program was free. The fact of the matter is the only way to change the culture at a place like Penn State, and I mean THE ONLY WAY, is to completely do away with the football program. Only then will people realize that Penn State isn’t about a football team. It’s a state university that serves first and foremost to educate young people. I’ll be the first to tell you how much I enjoy reveling in the pageantry of Saturdays in the fall… particularly in the West Lot. It may not seem like it at times, but I’m fully aware that the livelihood of my alma mater, Northwestern University, does not hang in the balance with the result of our team’s games every Saturday. Unfortunately, I don’t think the same can be said at a place like Penn State, Ohio State, Alabama, etc. Saturday results define those universities. At the end of the day, we shouldn’t be playing Penn State this weekend. Nobody should be playing Penn State this weekend. They shouldn’t have a team right now. Only then would the NCAA truly have addressed the issue at hand.